Corona Renderer installation comes with a dedicated Corona Material Library, which offers more than 300 high–quality materials. 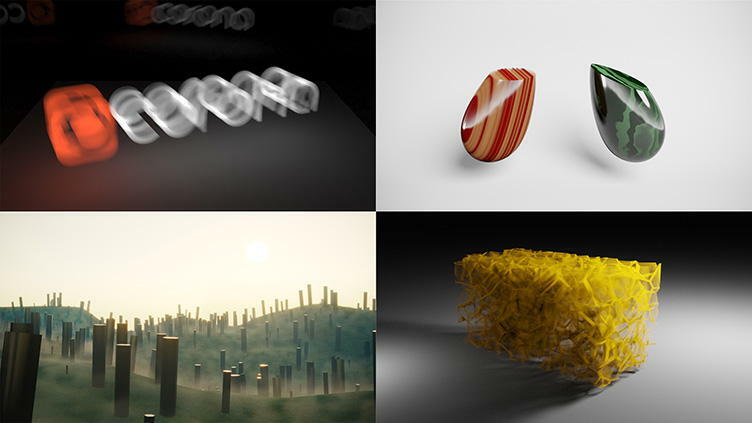 You can additionally download the following material sets, which were created for earlier versions of Corona Renderer. To get you started with 3D volume materials (added in Corona Renderer 2), here is a set of simple test scenes. These are scenes used in the creation of the Corona Renderer 2 Development Insights video and New Features video. This is the official basic material set for Corona Renderer. It consists of 19 materials and it is 3ds Max 2011-2018 ready. All materials use GGX microfacet model and thus we can only guarantee their compatibility with Corona 1.0 or newer. This material pack was prepared by Ludvík Koutný. Thanks Ludvík! This is the official material set for Corona Renderer. It consists of 8 materials and it is 3ds Max 2014-2018 ready. All materials use GGX microfacet model and thus we can only guarantee their compatibility with Corona 1.0 or newer. This material pack was prepared by Ludvík Koutný. Thanks Ludvík! This is the official material set for Corona Renderer. It consists of 14 materials and it is 3ds Max 2014-2018 ready. All materials use GGX microfacet model and thus we can only guarantee their compatibility with Corona 1.0 or newer. This material pack was prepared by Ludvík Koutný. Thanks Ludvík! This is the official material set for Corona Renderer. It consists of 27 materials and it is 3ds Max 2014-2018 ready. All materials use GGX microfacet model and thus we can only guarantee their compatibility with Corona 1.0 or newer. This material pack was prepared by Ludvík Koutný. Thanks Ludvík! This is the official material set for Corona Renderer. It consists of 7 materials and it is 3ds Max 2014-2018 ready. All materials use GGX microfacet model and thus we can only guarantee their compatibility with Corona 1.0 or newer. This material pack was prepared by Ludvík Koutný. Thanks Ludvík! An exclusive set of Corona Renderer car paints by the 3ds Max master and car lover Jeff Patton. There are eleven car paint materials in total. All materials are compatible with 3ds Max 2011 – 2018. Thanks Jeff! Our friend and crazy-talented artist Jakub Čech is sharing some of his signature materials. You can find fourteen beautiful materials in this set. All materials are compatible with 3ds Max 2011 – 2018. Thanks Jakub! Siger Studio will soon introduce this plugin to market, but you have a great chance to get a taste of the quality of the materials today. This set consists of ten materials in 3ds Max 2011 – 2018 format. Thanks Regimantas! VIZPARK is a leading manufacturer and developer of plugins and 3D content for CG architectural visualization. This set of free ready-to-use Corona materials includes tileable 4k textures from the ALL WALLS collection with layers for diffuse, bump, reflection and displacement. The textures were created using the new 3ds Max plugin OMNITILES and CROSSMAP, both available from VIZPARK. All materials are compatible with 3ds Max 2011 – 2018. Thanks VIZPARK! High quality HDRI skies from one of the most respected archviz artist in the world – Peter Guthrie. Thanks Peter! The material ball scene we are using is based on a preview scene provided by Siger Studio.